After eliminating Entente SSG in the Coupe de France at the weekend, Nantes will be looking to start a new winning run in the Ligue 1 when they host Nimes at their Stade de la Beaujoire – Louis Fonteneau on Matchday 24. Les Canaris aim to put an end to their four-game winless run in the French top flight, but the game against Nimes will be anything but a walk in the park for the hosts. Les Cocodriles, on the other hand, shared the spoils with Montpellier in their last league match and, as a result, they remained in the middle of the Ligue 1 table. 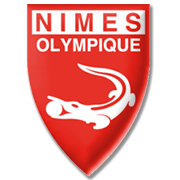 Nimes, though, are not regarded as good travelers and seeing that they suffered back-to-back defeats to the likes of Rennes and Nice in previous two away games in the national championship, we are tempted to put our money on draw. Fabio Pereira da Silva was born in Petropolis, Rio de Janeiro on 9 July, 1990. The full-back, who is capable of playing on both sides of the field, began his youth career at Fluminense and in 2007 he was spotted by Manchester United scouts. Despite signing a contract with the Premier League giants in February, 2007, the Brazilian footballer was unable to play for the Red Devils until his 18th birthday. On August, 2008 he made his Manchester United debut, coming from the bench in a 2-0 win over Peterborough United. Fabio impressed on his debut, but he made just two appearances for Manchester United in the 2008/2009 season (FA Cup). On 2 July, 2012 Fabio signed a loan deal with Queens Park Rangers and he played 21 games for the Hoops in the 2012/2013 Premier League campaign. He returned to Manchester United for the 2013/2014 Premier League campaign, but on 29 January, 2014 David Moyes decided to sell him to Cardiff City. Speaking of his international career, Fabio has 17 caps for Brazil U17 team and he made his first-team debut on 7 October, against Costa Rica.